Working along side their Waste Management Team, we developed a campaign to raise awareness for home composting and to entice residents to start recycling. 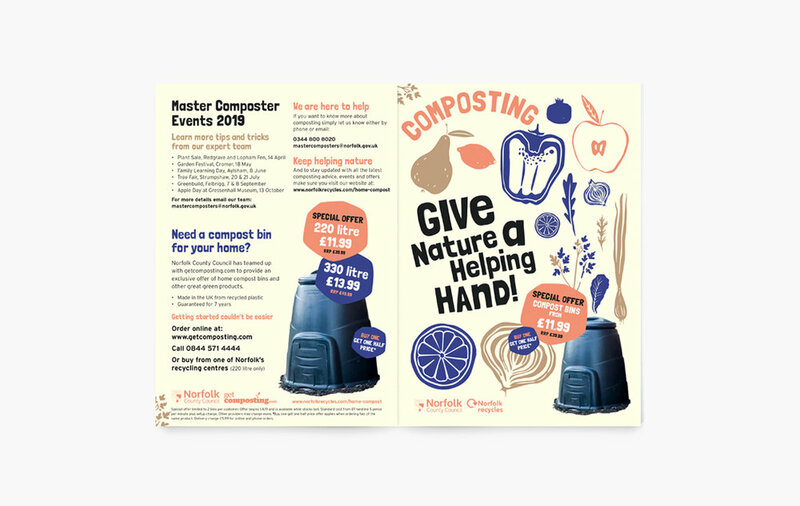 Inspired by the organic aspect of composting, we created a strapline ‘Give nature a helping hand’ and created an illustrative identity to build the campaign around. The visual identity was them rolled out across marketing collateral + social. Utilising the limited budget, we also performed a targeted mail drop, which helped see a 250% increase in composting bin purchases, on the previous year.